In my last post I talked about my recent visit to the Valentino, Master of Couture exhibition at Somerset House and shared some of my favourite outfits on display there. As well as being a visual feast, the garments on show got me thinking about sewing in general, the things I might choose to make and how I might change those decisions in the future. I was expecting to along and ooh and aah at all the gorgeousness, but I think I actually learned quite a lot from Mr Valentino Garavani in the short time I spent in the presence of his creations. Last time I told you that this dress was my favourite of all the 130+ outfits on show. It was designed in 1959, but to my eye the design doesn’t look more than 50 years old. 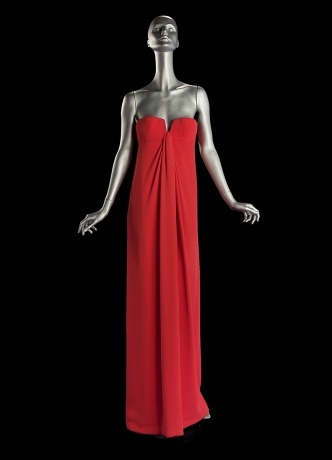 This gorgeous red evening dress is a creation from 1965, but this wouldn't look out of place on the red carpet today. 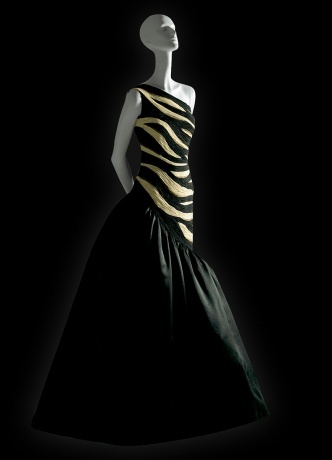 Conversely, this dress from 1987 couldn’t be from any other period! I couldn’t imagine anyone wearing a dress like this now. Lesson learned: While it’s nice to make fun, “trendy” garments, if you want to make something that will last, make a classic design. 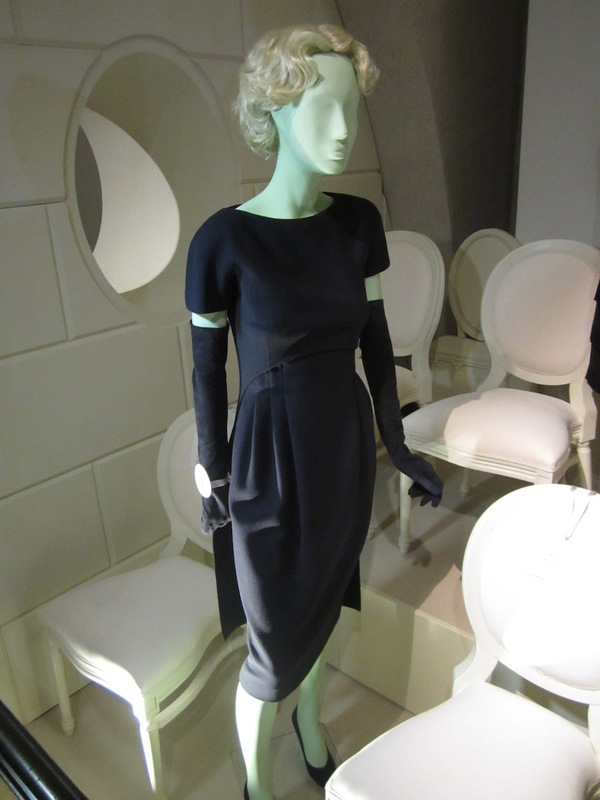 The vast majority of the outfits on display were plain colours, often a single colour throughout the whole outfit. White, black, red and pink featured heavily and even very bright or strong colours generally looked classier and more expensive than patterned or multicoloured ones. Lesson learned: don’t instantly dismiss plain as boring. Pattern can be wonderful, but you can have too much of a good thing. Clothes made from plain fabrics are easier to mix and match as well! Jacq and I both fell in love with a cream silk blouse that featured small neat bows on the cuffs instead of buttons. The bows were fixed, and from what we could see, slipped through a buttonhole in the same way a button would. Unfortunately I haven’t been able to find a picture of it to share with you. 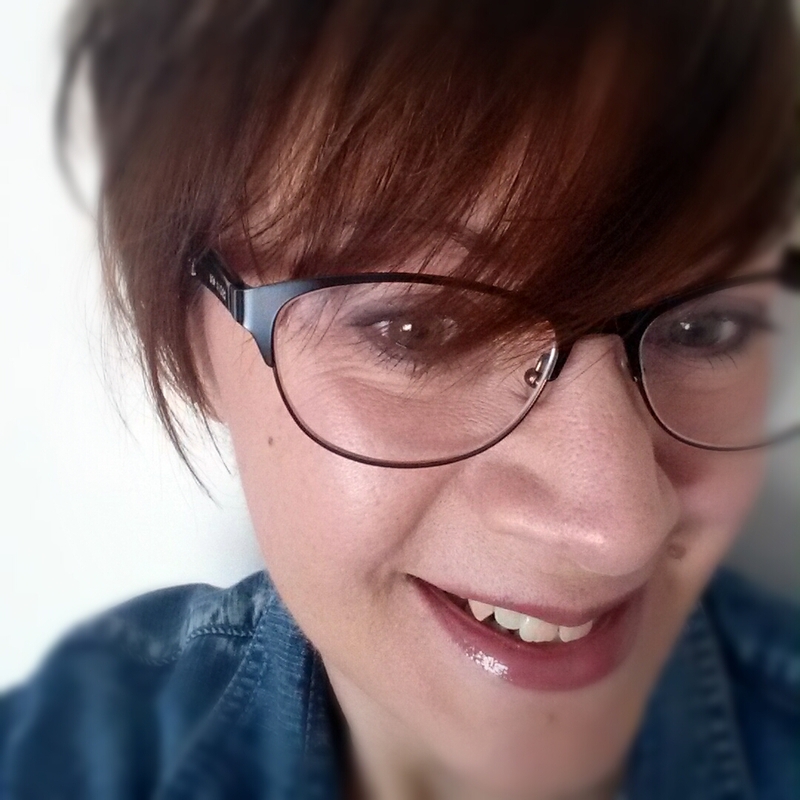 Lesson learned: don’t always go for the ordinary, explore alternative fastenings and finishes that will result in a totally unique garment. 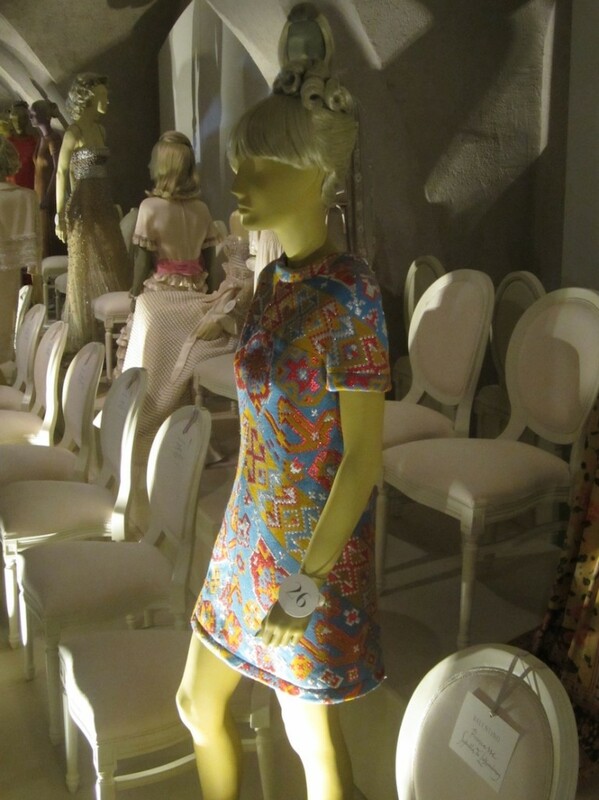 This dress, from 1967, has its hem finished with bias binding. I was amazed to find that the diagonal seam on the bias strip was directly at the front of the dress. If using a similar hem finish myself I would have tried my hardest to hide the seam at the centre back. There were also a couple of long coats, I think from the 1970’s, that weren’t lined. While it was nice to see what seam and hem finishes had been used, I was very surprised that a couture coat wasn’t lined. Lesson learned: Don’t be too hard on yourself when it comes to finishing. Of course, we all want our finished garments to look as professional as possible, but as you can see sometimes the professionals aren’t “perfect”. Is anyone else going to notice where the seams in your bias strips are? If not, then perhaps you shouldn’t worry too much. On another, but still Valentino related, note I have been very naughty. I was a bit disappointed that there wasn't a(n affordable) book or catalogue available for purchase at Somerset House. The little exhibition shop did have some books, in a glass case and priced in excess of £200 - possibly even in excess of £300! 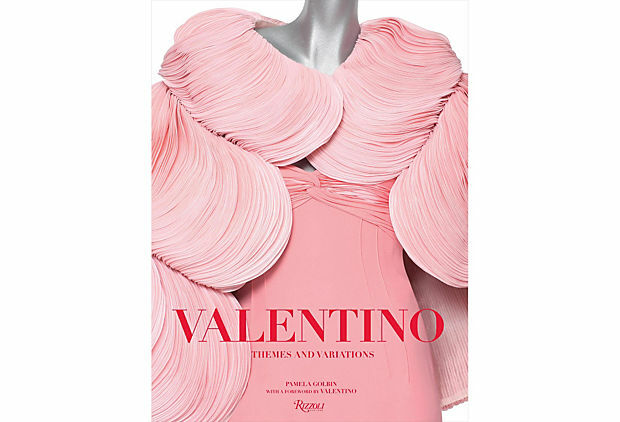 Don't worry, I haven't gone totally mad and bought one, but I have bought a copy of Valentino: Themes and Variations from Amazon. I can't wait for it to arrive. OK, I think I'm Valentino'd out for now. I'll try and make my next post about something else. Thank you Winnie. Now all I have to do is put some of this into practice! The book is wonderful, by the way.